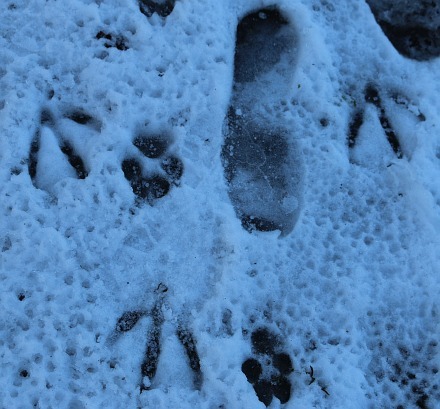 This morning I identified some of the tracks in the snow that had been frozen overnight. What I think we have here are geese, dogs. and humans. Morning sunshine soon raised temperatures from below zero and the snow and ice started to melt. 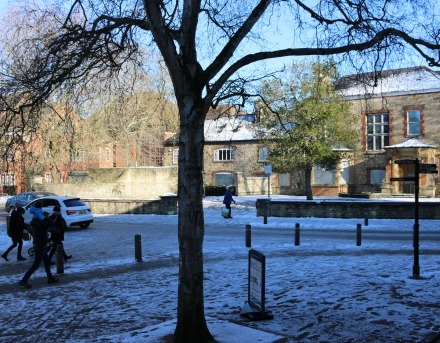 The frozen snow on the four quadrants of Abingdon Market Place also began to thaw. There were lots of people about in Abingdon as it was a Saturday but that did not include the large group of runners normally to be seen drinking coffee after the Abingdon Park run. 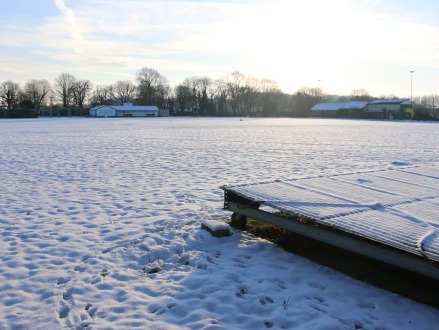 The Parkrun had been cancelled because of the slippery conditions, like the bin lorries were cancelled yesterday. We dropped into the Guildhall to check how things were progressing. The Abbey Cinema had Mary Queen of Scots and Live Rugby: Ireland V England (a sell out event partnered with Loose Cannon Brewery). 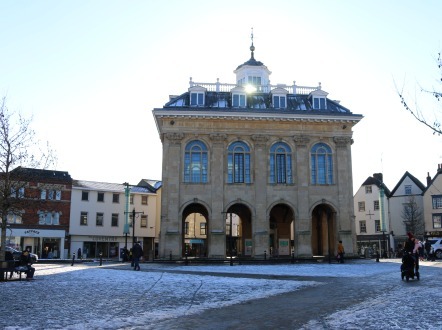 The Guildhall has an open day in 2 weeks time to show off the other rooms after refurbishment (Roysse, Council Chamber, Abbey, and Bear Room). There will be displays and information about how they can cater for weddings etc. 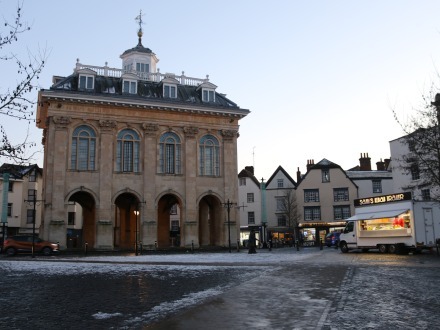 By evening, on the Market Place, only the quadrant shaded by the County Hall was still under a cover of snow and ice.